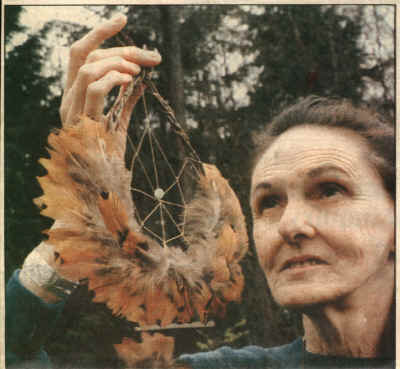 The Dream Catcher is one of the most beautiful stories in North American native mythology. To be a dreamer (Wise One) was a highly honored position in a tribe or nation. Today we are so busy with modern life that the visions of dream time must come during sleep time in order to get our attention. Traditionally, a dream catcher is made with willow and woven into a sacred circle with a web type center to harness bad dreams (which will perish at dawn’s light) and still allow good dreams through. Dream catchers allow us to pay attention to the gifts of dream time, and become aware of the talents and treasures within each one of us. The dream time reality is as ancient as our universe and holds all possible doors open to all levels of awareness. Sweet dreams, friend.